Christmas time means family to so many people. 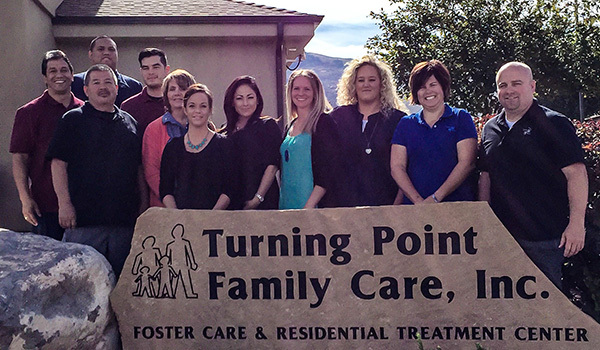 We try to make it about family here at Turning Point. This year we invited all the parents to Turning Point to spend some time with their sons. The day started off with a parent group. The group's focus was on how the parents feel after their sons have sexually acted out. Rick read a letter from a former parent that detailed some of their frustrations and anger at their son for sexually acting out and changing much of their lives. Many in the group could relate to the feelings that this parent felt. It also gave the youth in the group the opportunity to see how their parents felt and how their sexually acting out may have changed their families' lives. After group we held a graduation ceremony in which two young men graduated from high school and one graduated the program. It was a perfect day to hold the celebration in which so many parents were present and hopefully can cheer their son on to do the same. We were then treated to a fantastic lunch. Each quarter a teacher has a cooking class in which they spend the entire quarter learning how to prepare the menu for the parent day. This year it was Italian themed. It was great! Once lunch is over the parents have a chance to visit with their son, have a family therapy session, and a parent teacher conference. We are so thankful to have parents who support their sons.